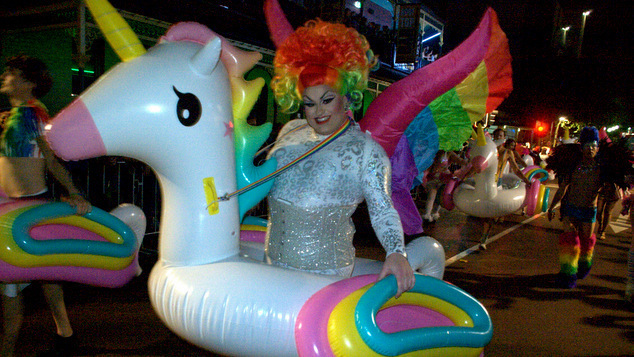 Perth has celebrated Pride 2016 with a massive parade through Northbridge. Over sixty floats wove their way through the streets as crowds of enthusiastic spectators looked on. This years parade included a number of firsts. 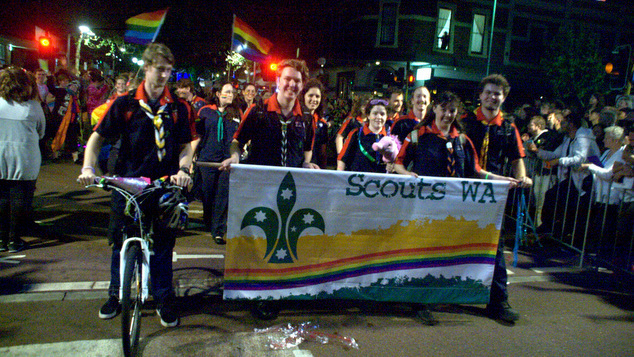 It was the first time the WA Police had been given permission to march in uniform in the parade, and it was the first time the Scouts took part in the celebrations. Unicorns, Alice in Wonderland Tea Parties, Bears, Rainbows and floats sprinkled with glitter made up the entries, over sixty of them filling the streets. 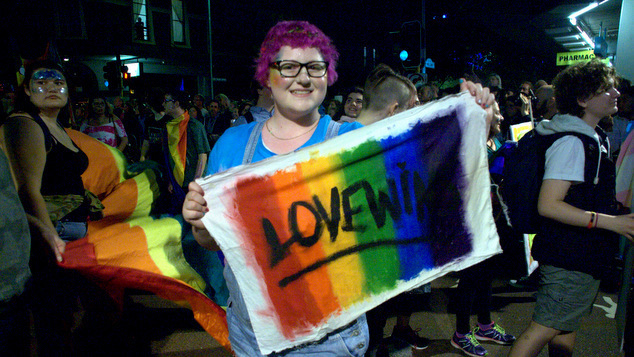 Comedian Joel Creasey waved to onlookers while broadcasting his experience from his phone, Tiernan Brady from Australian for Equality took part and the founding members of PFLAG WA rode along in a combi-van. 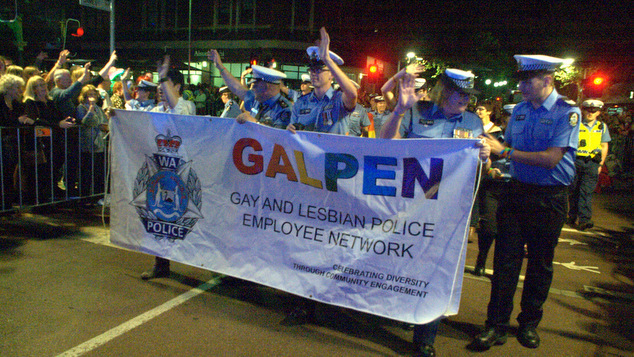 The best group float was awarded to Connections Nightclub, while the WA Police were named best new entry. The most outstanding individual in the march was Famous Sharron, who co-hosted the VIP function. An entry based around a Tea Party was the best themed float. 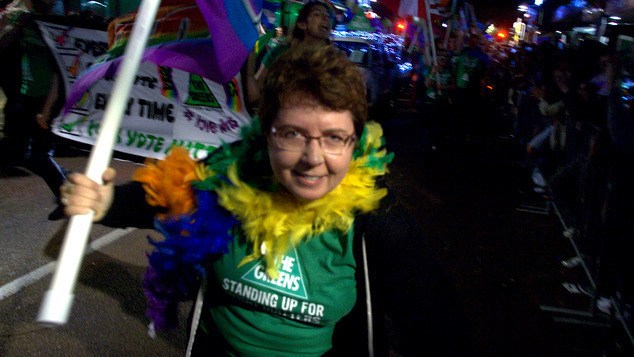 The Labor Party and The Greens both had large contingents. At the award ceremony after the parade City of Perth Councillor Lilly Chen said she hoped the Liberal Party could join the parade next year.